What Are the Ingredients of Scotch Whiskey? Scotland is known for more than bagpipes, the Highland Games and men running around in skirts. Its six designated scotch-producing regions have kept the scotch-loving world in awe for ages over what can evolve from just three ingredients – barley, water and yeast. It’s what the distiller does with these ingredients that gives each manufacturer’s product its distinction. Peat, a fuel used to dry malted barley, imparts flavor to some brands of scotch, but isn't essential to the distilling process and is employed at the discretion of the distiller. It’s all a matter of taste. Scotch whisky law decrees that the product can only be called "scotch" if it’s distilled in Scotland and matured within the country for a minimum of three years. 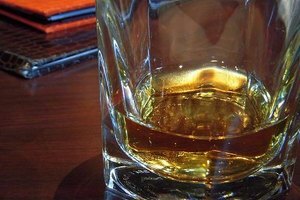 Whiskey distilled outside of Scotland may not be called “scotch” and must be identified as “whiskey.” Further distinguishing Scotch whisky from other whiskeys is that scotch is distilled from malted barley, whereas whiskeys produced in other countries may be made from other grains, such as corn and rye. The term "single malt" defines scotch made by a single distiller using water and barley. Blended scotch is created by blending at least one single malt with whiskeys made from other grains. Adding to the confusion are blended malts, made by blending two or more malt whiskeys. The blending and maturation of individual brands of Scotch whisky are afforded state secret classification. Each distiller has its own secret process and blend, giving different brands of Scotch whisky individual distinction. Read the label and go for a single malt for the purest incarnation of scotch. The major ingredient in Scotch whisky is barley, with the preferred barley being harvested in Scotland. However, in the highly controlled world of scotch, the origin of the barley isn't regulated. To begin the malting process, the barley is first soaked in water and then left to germinate. Whether the malting is done by hand or machine, the goal is to turn the starch in the barley into sugar. The sugar turns into alcohol during fermentation. Some distilleries choose to dry the malted barley with heat fueled by peat drawn from bogs heavy with decayed vegetation. This lends a smokiness to the barley that affects the taste of the finished scotch, just as specific types of wood chips influence the flavor of smoked meat or fish. Some scotch is defined by its “peatiness,” whereas others may have a hint of peat or none at all. The water used in the distillation of barley is vital to the end taste. Scottish water is soft, with no mineral overtones. It’s this water that washes the barley before yeast is added to begin fermentation, and it's used in every stage of the distillation process. As far as yeast goes, Scottish distillers almost unanimously agree that it plays no part in the taste of the final product. What it does do is speed up fermentation or conversion of sugar into alcohol. 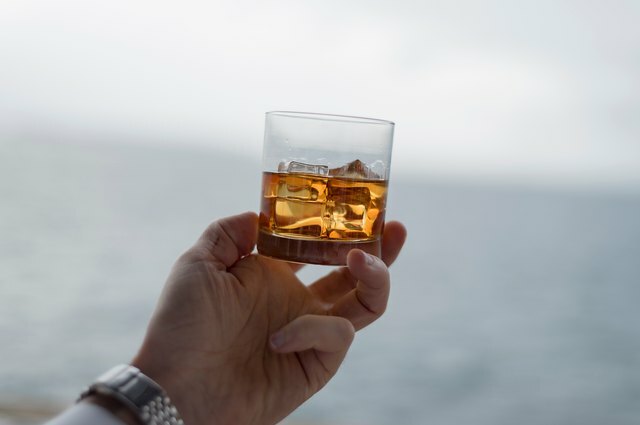 There’s a reason whiskey is known as the “water of life.” Derived from the Gaelic “uisge beatha,” meaning “water of life,” the words were eventually corrupted over time, becoming “usky” before evolving into “whisky” or "whiskey." Papers have been written and speeches made about the health benefits of drinking whiskey, from the hot toddy you may sip when trying to ward off a cold to possibly lowering risk of stroke. What’s interesting to note is that most of this is based on science, with moderation being key. Scotch contains ellagic acid, a potent antioxidant. 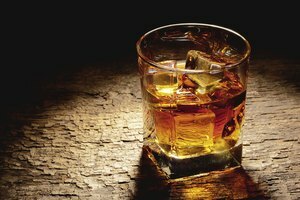 While fruit and all alcohol supply ellagic acid, scotch may have a higher concentration in its makeup than red wine. Like other distilled spirits, scotch is also calorie friendly, with 1.5 ounces providing about 97 calories. That’s without adding mixers. Splashing a little water or club soda into a glass of scotch further smooths it out, expanding the quantity of your drink without adding a single calorie. People with celiac disease and those following gluten-free diets should know that scotch is virtually gluten free. The gluten proteins are removed during the distillation process, as in all alcohol that's distilled. But, according to U.S. labeling laws, you won’t see the words “gluten free” on the label because scotch is derived from a cereal grain. Moderate alcohol consumption, which means one drink daily for women and two for men, is generally regarded as safe for most adults. Examples of one drink include a 5-ounce glass of wine that contains 12 percent alcohol, a 12-ounce glass of beer with 5 percent alcohol or 1.5 ounces of distilled alcohol, like scotch, whiskey and vodka, that are about 40 percent alcohol. While Scotland has set the standard for Scotch whisky, Irish whiskey also holds its own in the production of the alcohol. The difference is that Irish whiskey is a blend of malted and unmalted barley, giving it a taste that differs from that of single malts. With the growth in popularity of single malts around the world, though, Ireland is ramping up its production of single malt whiskey. Japan is also joining the fray, producing exceptional single malts that are aged well and not rushed to market. Scotland may have competition, but its centuries-old tradition of producing superior-quality scotch keeps it at the top of the pedestal, confidently swaying to the soulful sound of bagpipes. Harvard Health Publishing: Should Alcoholic Drinks Come With Calorie Labels? 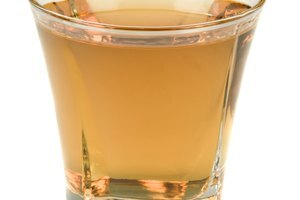 Scotch Whisky.com: Does Yeast Affect the Flavour of Whisky? 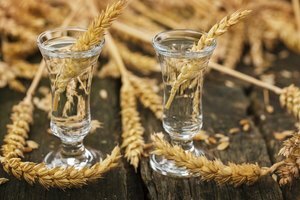 Which Liquors Are Made From Wheat?